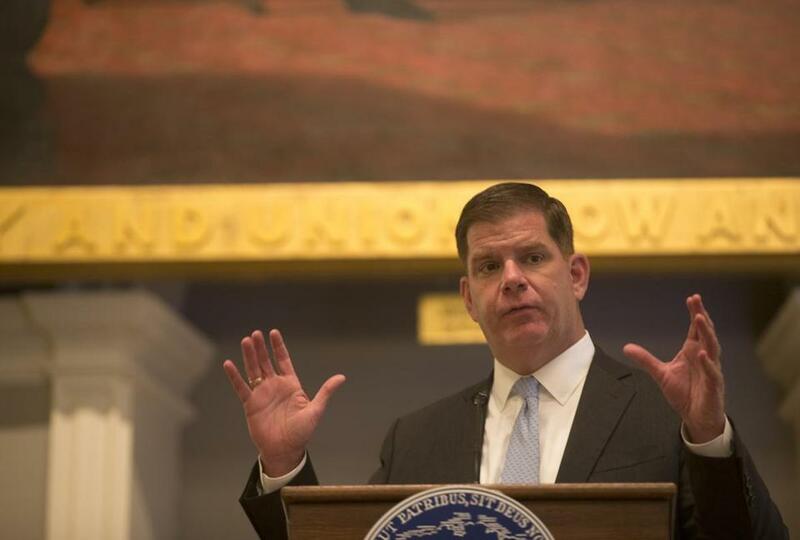 Mayor Marty Walsh spoke on May 6 during this year’s Innovative Design Alternatives Summit. In retrospect, this is obvious: A mayor rooted in the construction world should be pushing for better architecture and smoother planning. It’s just taken a little while for Marty Walsh, the former leader of Boston’s construction trade unions, to embrace this mission — which has been awaiting him all along — and shift away from predecessor Tom Menino’s heavy-handed approach to development. “Why is Boston so ugly?” asked a recent Boston Magazine cover story, which contrasted the generic quality of recent private developments with the more daring architecture that Walsh saw on a trip to New York last year. The Seaport District, where Boston’s future was supposed to emerge, abounds with office-park streetscapes and squat, lookalike glass boxes. In December, Walsh called upon the local development community to up its game. Last week, he convened an Innovative Design Alternatives Summit, at which he announced the city’s first master-planning initiative in half a century. Architects and developers have been conditioned to give mayors what they want, and Walsh’s design summit featured two days of brain-storming and soul-searching by urban design aficionados near and far. One rhapsodized about Paris and Barcelona, historic cities that abound with cutting-edge architecture. Another showed how Chicago had mapped its “architecture deserts” and started addressing them. Alas, architects can’t fix what ails Boston architecture. Only the mayor can. A successful citywide plan has three basic requirements. 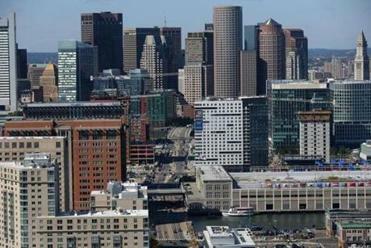 The official rules in Boston are too restrictive — so much so that major development projects can only proceed if the city agrees to significant exceptions. Menino used this power to great effect, shutting down some developers entirely and giving more latitude to those he trusted most. Admirers saw a mayor who knew how to use his powers and who took responsibility for how his city evolved. At Walsh’s design summit last week, Menino’s name rarely came up. But the downside of all that mayoral discretion in the previous administration couldn’t have been clearer. Architect Tamara Roy, for instance, argued that uncertainty about what the city will ultimately allow creates confusion about something as basic as how much a private developer should pay for land. Meanwhile, when every variable is in play, developers minimize risks where they can — by settling on designs that offend no one, and by hiring architects for their track record at City Hall rather than for the freshness of their ideas. At Walsh’s summit, a succession of younger architects — including one in a black “Will Design for Money” t-shirt — bemoaned the closed, clubby quality of the local architectural scene. Walsh’s master plan could help. If it reduces risks by setting clear, reasonable parameters for what developers can do without seeking an indulgence from the city, they may take chances on new architects and new ideas. The push for a new master plan hints at a broader purpose for Walsh’s mayorship. There’s a deep strain in Boston politics that attributes the city’s high costs to the predations of developers and landlords, rather on the laws of supply and demand. As a candidate, Walsh subtly countered that sentiment, vowing to raise revenues for better public services by adding to the city’s tax base. Behind the scenes, his administration has been working to move more permits through Inspectional Services. Wary of drawing too sharp a contrast with a beloved former mayor, the current administration is likely to present its approach to development as a mere difference in style. In fact, Walsh is making a deeper philosophical choice that could define his tenure. Instead of downplaying it, he should proclaim it — and sell the city on a vision of greater equity and prosperity through steady, attractive growth.